MOSCOW (Sputnik) - Minnesota Democratic Senator Amy Klobuchar has announced she is running for president in the 2020 election. 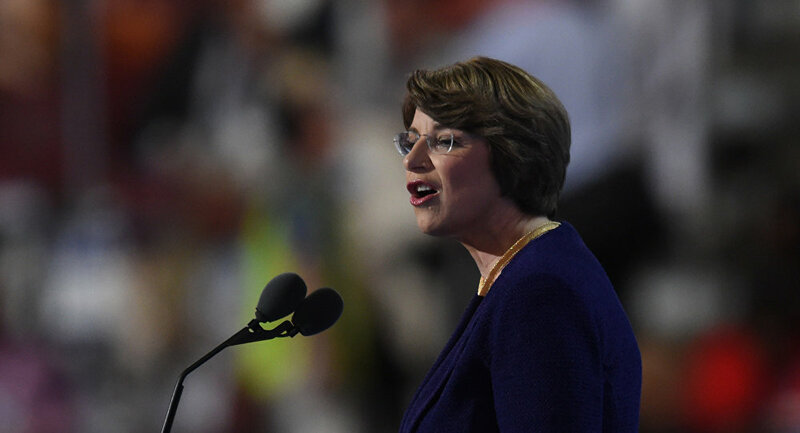 "I stand before you as the granddaughter of an iron ore miner, as the daughter of a teacher and a newspaperman, as the first woman elected to the United States Senate from the State of Minnesota, to announce my candidacy for President of the United States," Klobuchar said in a speech. The senator pledged that as the president she will "focus on getting things done" and "lead from the heart." "It is time to organize, time to galvanize, time to take back our democracy, it's time… to get the dark money out of our politics," Klobuchar underlined. Klobuchar, 58, served as a county attorney before before she was elected to the Senate to represent Minnesota in 2006. Over the past month, US Democratic Sen. Elizabeth Warren, member of Congress from the state of Hawaii Tulsi Gabbard and Democratic Sen. Kamala Harris of California have announced their presidential bid.